A very healthy morning to all New Year Resolvers! This year no matter what you have pledged of breathing the fresh air, so you jump off the bed for some running, despite the chills in the morning, get back home take a shower, grab a sandwich, and off you go to begin the very exciting stressful hours ­at work. But before the New Year resolution enthusiasms drain out with your sweaty hard working days, you got to read this post and scrap out few eateries for the sake of your resolution that add to your calories! Calories are basic unit of fuel (energy) that gear the internal engine in your body and churn maximum power to give your best performance. Therefore, their intake in a correct proportion is inevitable to maintain basic body functioning. But you need to take in only a correct amount of calorie and that would directly depend on factors like your age, gender and muscle mass. Eating lesser calories than what your body requires will inversely affect your health leading to major health issues namely, muscle atrophy, destabilized immunity eventually resulting in organ failure. When you consume calories more than your body requires it you invite some severe illness. Starting with a huge fight with overweight and obesity, you aggravate the chances of heart ailments, type II diabetes and cancer as well. Those yummy beef tallow, lard, fish oil and even vegetable oil cannot be your favorites anymore. Why? Calories of the beef tallow, every 100 grams would be 902 calories; per cup or 205 grams of the fat oil would be 1849 calories, whereas per table spoon(13 grams) would round up to 117 calories. Consumption of ready-made salad would mean having 542 calories every 100 grams and 95 calories per table spoon. 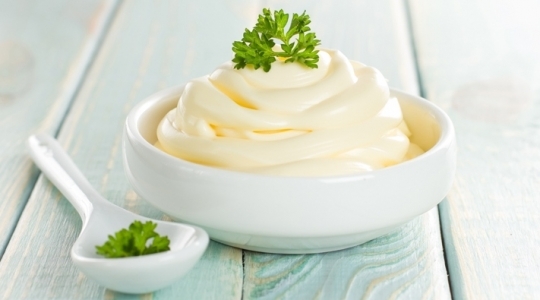 Even though they are irresistibly tempting and orgasmic to your taste buds, this is where you need to stop, because every 100 grams you consume mayonnaise you add on 680 calories, and per tablespoon you add 95 calories. The colorful sugar treats are blissful taste-wise all time, but health-wise only once a while. But not really when you are determined to shed the burdening pounds. For every 100 grams you consume 577 calories, 450 calories for each bar. Sure the perfect amount of fruits spread, the soft and crunchy dough tweaks and crème and crust is mouthwatering and especially dear to the pie lovers. But if you are in a mission, giving away the greed for a while will be a wise step because for every 200 grams you add 558 calories and for every two cookies that would be 25 grams, you add 140 calories. You no longer have to stack away your LBD, nice tops and lace dresses if you cling onto a green platter, follow the best diet and munch on healthy snacks. Chuck out high-calorie foods that make you shun the mirror or abhor the weighing scale.